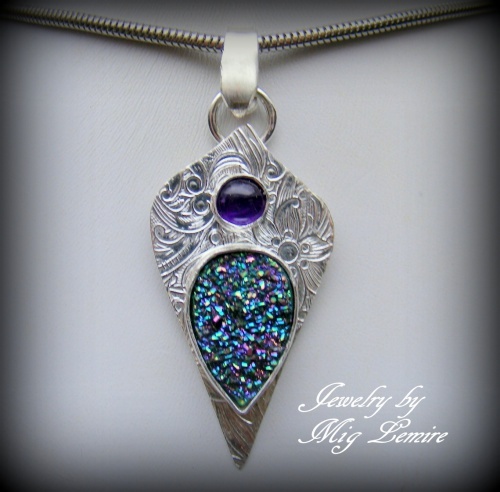 This gorgeous pendant has a Druzy gemstone and a small Amethyst. The sparkle is unbelievable with all the purples just popping. Piece is soldered with sterling silver and fine silver and the background is a pretty floral design that was milled on by me. Piece measures 2" long and 1" wide - comes with a sterling silver snake chain.